Expedition Unknown is an American 60 minute documentary mystery television series, which kicked off on January 8, 2015, on Discovery Channel and is broadcast every Tuesday at 22:00. The show is currently in its 7th season. Discovery Channel is yet to announce the renewal of Expedition Unknown for Season 8 as well as its cancelation. Sign up to track down the show's status and its release date. 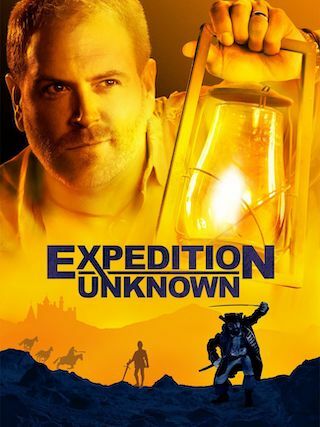 In the hit series Expedition Unknown, Travel Channel's witty explorer Josh Gates seeks answers to some of the world's most captivating unsolved stories and legends. Gates is on a mission to find the truth behind each iconic legend, digging through years of historical evidence, facts and myths. Leaving no stone unturned, his adventures take him around the globe as he immerses himself in the core locales linked to each tale. From excavating ruins in search of the real Robin Hood to sailing the high seas investigating Christopher Columbus and exploring Nepal's "sky caves" for Shangri La, Gates' archaeological background and ubiquitous sense of humor generate a new take on age-old stories.